Hi, I bought a couple of used PVC ponds, the ones you get from Sportsmanwharehouse. The people say they used HTH in the water when they used it for swimming. The last time they added HTH to the water was in January this year. I scrubbed the ponds with clean water and salt. Will I be able to use these pools for Koi? Hi Sid, you referring to the blue intex jobbies? Maybe post some pics of them so we understand better what you are referring to. If it is those porta pools then people have used them to house koi while building or as a QT facility. As a permanent fixture is difficult as they can puncture easily and then you could lose everything. If I am not mistaken HTH is chlorine...Chlorine evaporates from the water in less than one week...I use the same intex pools if U mean that and I made filters and BD..all DIY...If U need I can post how I made them...I use two of them for my QT. Hi Cliff. Yes it's the blue PVC ones. I want to use them for quarantine and maybe to keep a couple of cheapies in. Hi Neli. I would appreciate it if you tell me how. Always eager to learn. 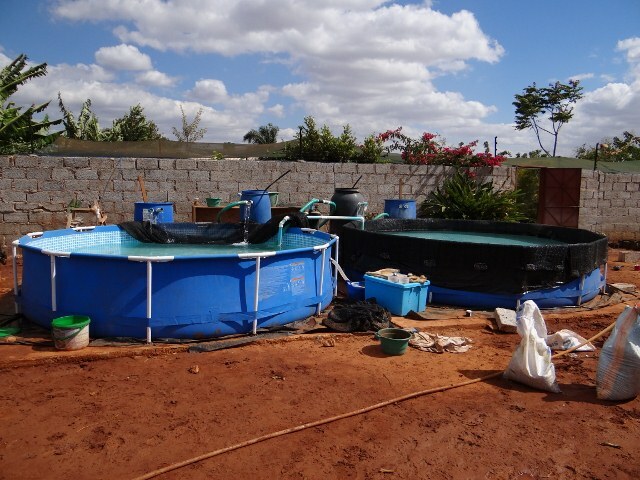 If you say HTH evaporates in a week it means that the pools will be safe to use for koi? I was told that PVC can absorb chemicals, I was scared that the pools may be toxic to fish. 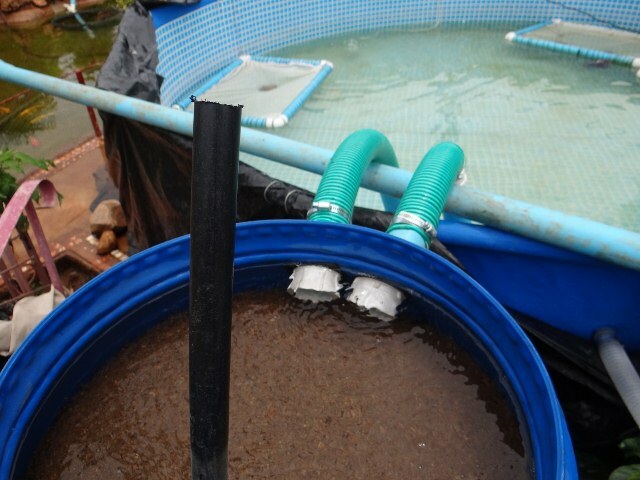 The first filter after the pump is birdmans sand and gravel filter...Google it or check on Koiphen how it is made...very simple. 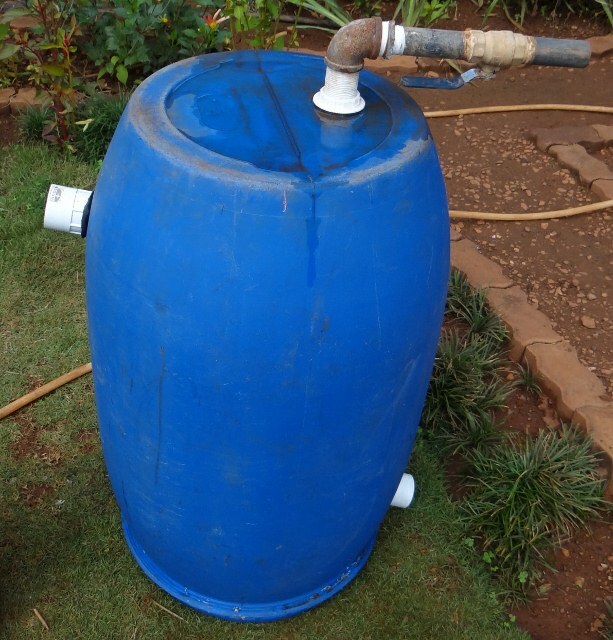 The bio filter is just shade cloth ...my own design...on a wooden pole...I just shake it few times to clean it...and drain the water...very easy. 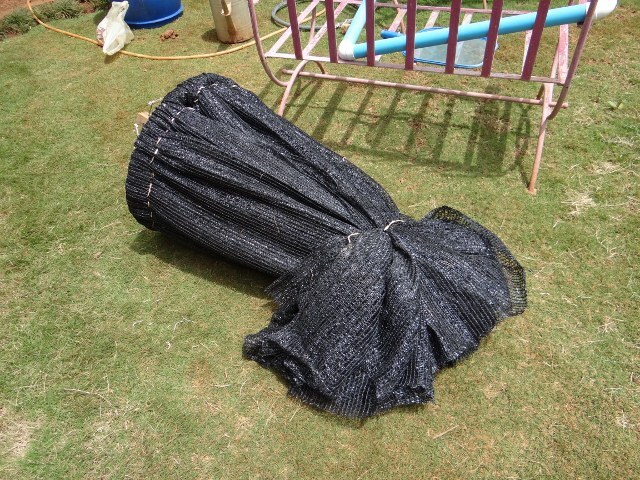 The netting is turned over the frill and the frill looks down. Sid, Neli is correct. If these ponds where used in January with HTH in them they should be safe by now. You wont have problems at all. Just clean them with a solution of 10l water an a bottle of vinegar. I use them for breeding, hatching and quarantine.